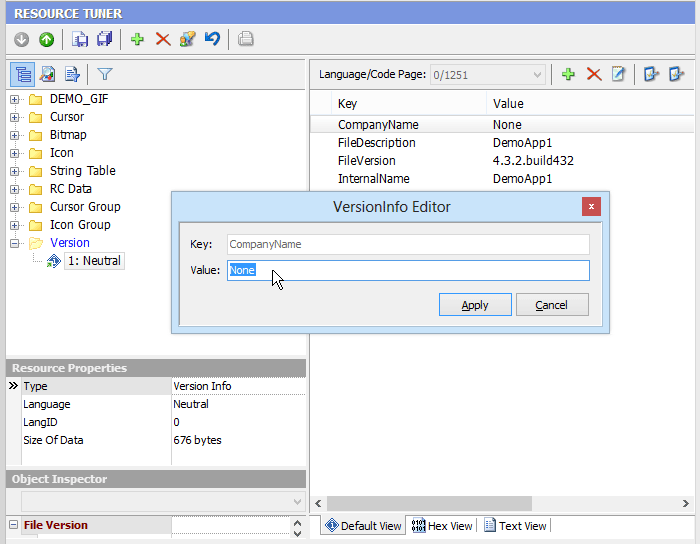 Resource Editor: How To Update The Version Information And Edit Executable File Properties. 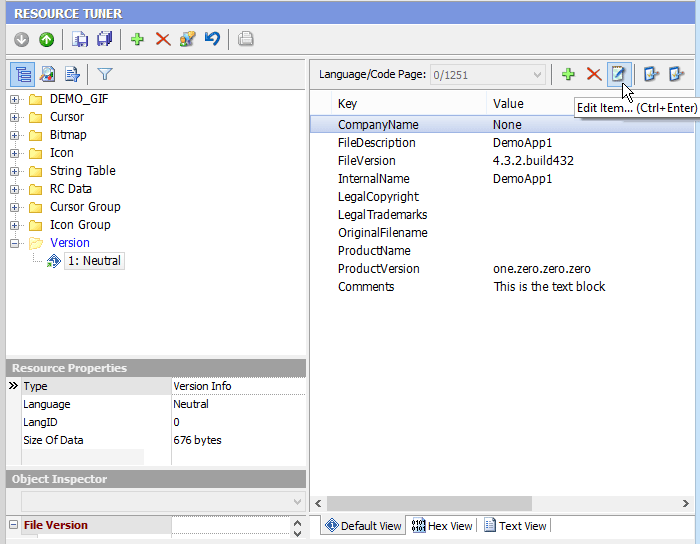 The VersionInfo resource contains special information about the file, such as version number, intended operating system, company name, language code page, and original file name. This information is displayed on the version tab of the property sheet dialog displayed by selecting the "properties" item from the right mouse button context menu in Windows Explorer. 1. 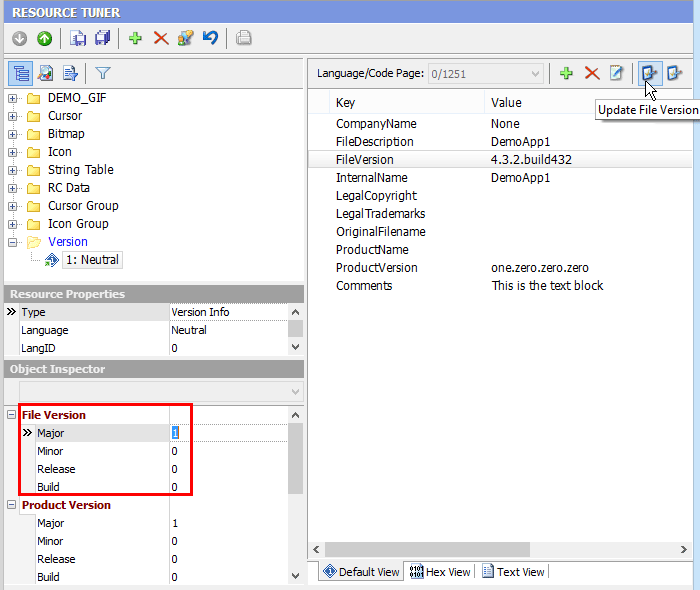 Expand the Version folder that’s found in the Resource Tree view, and select the version resource item to be edited. To see the version info structure in text format, select the Text View tab. 2. Select a StringFileInfo value entry by clicking it in the displayed listview. 5. 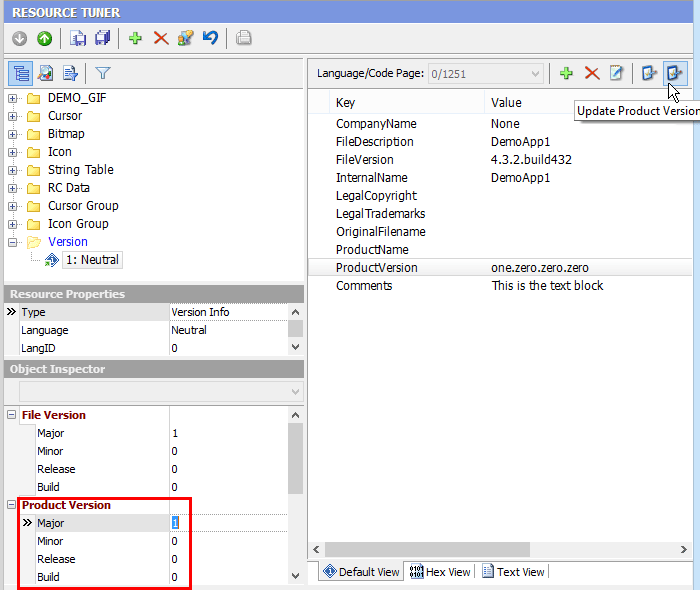 Click on the 'Update Product Version' button from the button bar to adjust the string value in accordance with the ProductVersion block displayed in the Object Inspector. 6. Select 'File' -> 'Save File' to save the changes you have made to the target file. See also: Command-line File Version Changer: If you need to to create a repeatable process for updating and customizing resources during the final stage of the build process.